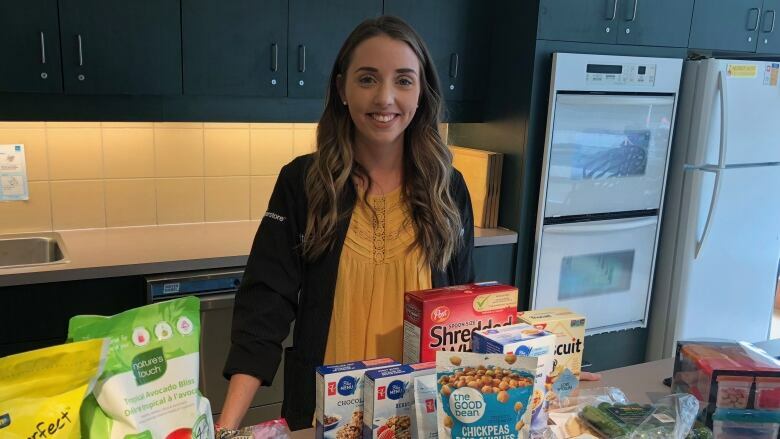 A Moncton dietitian has some advice for the many parents, teachers and volunteers who run breakfast and lunch programs at schools across New Brunswick. Kerri Robichaud, a registered dietitian at the Atlantic Superstore in Riverview, believes the new policy can work. "I definitely think that it's a good initiative but I do think that we are going to require support for parents and volunteers to be able to actually follow the guidelines." 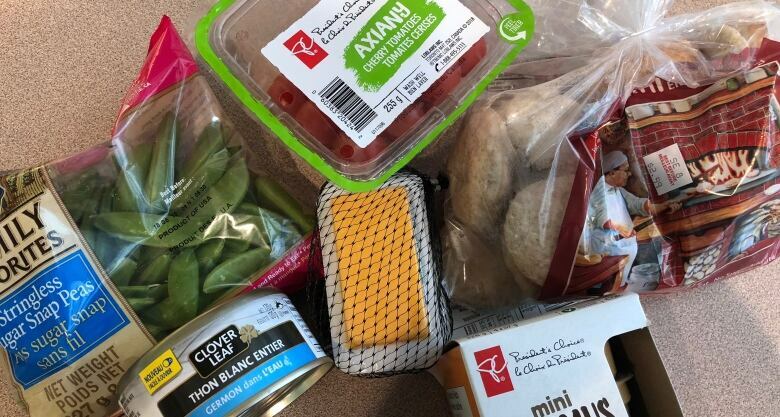 Robichaud went shopping for a week's worth of healthy breakfast and lunch options, which you can find at the bottom of this article. Under the new government policy that restricts what can be sold or served at public schools, popular items such as chocolate milk, juice, pepperoni pizza, cookies and chips are no longer allowed. Students at Sunny Brae Middle School in Moncton understand why they will no longer be able to buy brownies and chocolate milk, but Grade 7 student Cole Purchase isn't sure what he's going to have for lunch this year. "When I got my lunch last year I got chocolate milk and a brownie and my pizza, but now I'm probably not going to have it as much," he said. "Sometimes in a fridge, there's maybe a cup with some grapes but I've never seen anyone take one of those out of the fridge and put it on their tray." Connor Leslie, who is in Grade 8, said white milk is "fine," but he believes students should still have some options. "I see what they're trying to do, but people should get to choose what they want and after you're outside, I kind of like to go and get a chocolate milk as a cold drink." Brya Wood believes the new policy is "a good change" because many students, including herself, don't eat very healthy foods. "I'm kind of sad about the brownies and the chips but I can live with it," she said. Ava Doiron, who is in Grade 6 at Sunny Brae, suggested a compromise. "So one day of the week they could have chocolate milks for the kids and then another day of the week they could have a brownie for the kids," she said. "It's OK to have treats once in a while — just don't have them all the time." Grade 7 student Alexandra Leslie agreed. "I think that we should have all the treats on one day of the week and then the other days we could just have the fruit, but we could have at least some treats." Robichaud agrees that there is a place for treats in any balanced diet. "Don't say that your children can't have treats," she said. "That kind of creates that negative aspect around food, but just be mindful of how often you're giving them and also portion sizes." Meanwhile, Avery Worden, Grade 6, is holding out hope that reduced sales at cafeterias might persuade the province to change the policy back. "I think that, like, maybe if they're not going to make enough money, just maybe there's a 50 per cent chance they're going to be like, 'Oh my gosh, why did we change this healthy stuff? Why didn't we just keep it like that?" 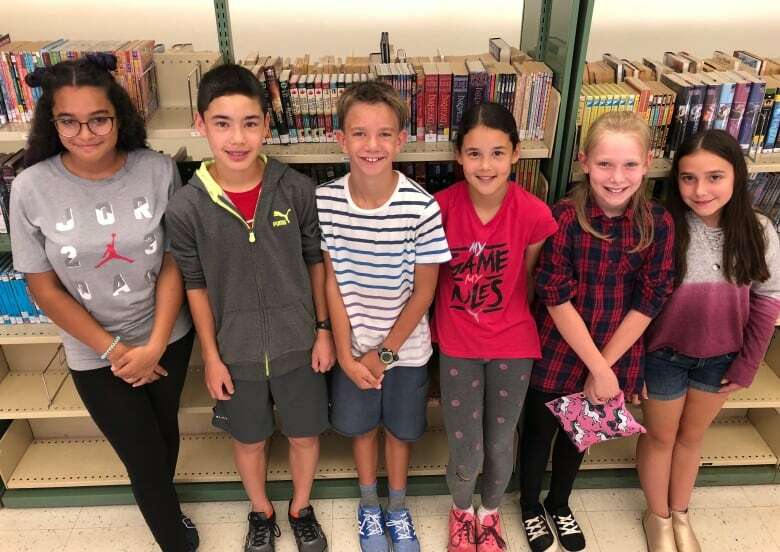 Robichaud believes that anyone can provide healthy food options and shared her ideas for a week of healthy breakfasts and lunch and treat ideas. "Community members, parents, volunteers — I think if everyone comes together I can't see why this can't work." Robichaud said many cereals are good choices for breakfast. "It's quick, it's easy and it's ready to go … they have lots of fibre and they're also very low in sugar. You can jazz it up a little bit by adding some fruit to it, so you get that natural sugar, and that gives it that sweetness that kids are craving." "They are 100 per cent whole wheat and they are made with a whole grain so they do have fibre in them … they're also the size a bagel should be. A lot of bagels nowadays are quite large and they're made with refined flour," Robichaud said. Policy 711 allows condiments, including jam, to be served in small quantities of one teaspoon or one tablespoon and requires that low-fat or low-sodium versions be used when possible. "Good old-fashioned fruit is already packaged and ready to go for you. A banana you can just grab it … you don't have to cut it up. Apples, oranges, peaches — try to buy fruits that are in season, it's very cost-effective." Under Policy 711, coated granola bars are not allowed, but others that include a whole grain as the first ingredient are fine. Granola bars must be 30 to 38 grams and have two grams or less of saturated fat, 250 milligrams or less of sodium and nine grams or less of sugar. Robichaud recommends fruit blended with milk or yogurt as a good option when students want to grab something and head to class. She pointed to inexpensive options in the frozen food section. "Naturally imperfect berries are frozen berries … they have the same nutrition quality as regular berries but the price point is a bit lower because they might be shaped a little differently. But you're blending it up in a smoothie anyway. So they might not look perfect, but they taste just as good, and they still have the nutrition, lots of fibre and lots of vitamins and minerals." Robichaud said you can choose pre-packaged oatmeal that is flavoured, or also buy the plain ones and add your own flavouring. "Again, using things like fruits … fruits will also give it a little bit more fibre, and fibre is going to help fill you up and make you feel full for a little big longer and keep kids concentrating in school." Robichaud suggests a departure from the traditional sandwich that uses sliced bread as a way to encourage students to eat more nutritious food. "Maybe pack these little pitas and put egg salad in it … kids love finger food." She also suggests other sources of protein and whole grains such as tuna salad wraps or whole grain naan bread dipped in hummus as alternatives. "Vegetables are usually missing at lunch," Robichaud said. "I don't want to say they're lacking, usually they're totally missing, so the little mini-cucumbers, also cherry tomatoes and snap peas and baby carrots and again, you can dip them." As for treats, Robichaud likes dried fruit. "It kind of has that sour-y taste that some people like in candies. Just remember a serving size is a quarter of a cup, not half a cup like other fruits." Robichaud said you shouldn't get discouraged if children don't accept the food you are offering right away. "Remember, your kids are never going to go hungry. If they're hungry they're going to eat what's in front of them and studies show that you have to show your kids the same food quite a few times before they might actually be willing to try it."